One of my favourite things about Nails Inc is the fact that they bring out some interesting and sometimes quirky collections, and the Nails Inc Jewellery Collection is no exception! Everyone needs a little glitter in their lives! 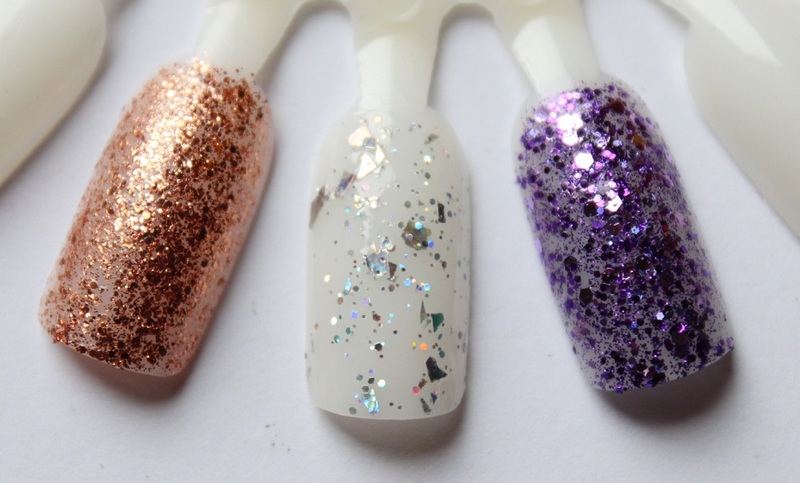 Glitter nail polishes look great worn alone and they look particularly gorgeous when worn as a top coat over another nail polish. Justice Walk* is an amber coloured polish and Royal Opera Arcade* is an Amethyst shade, both of which you can definitely wear alone as the glitter density is much more compact. After one coat your nail is noticeably covered but of course I find 2 is the perfect number of layers. 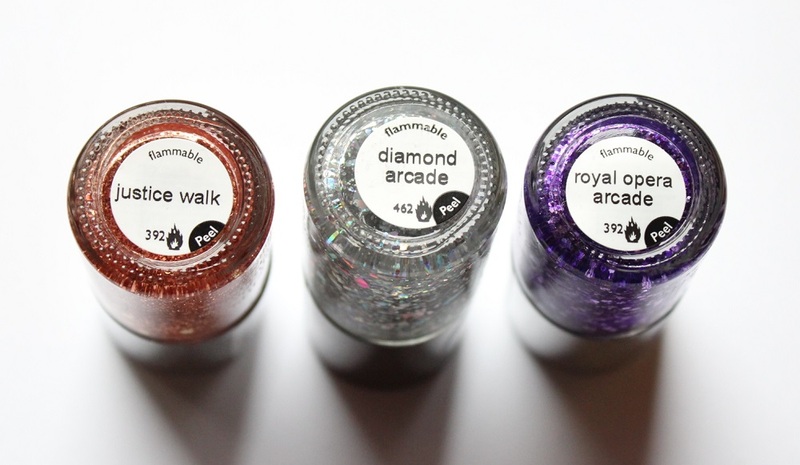 Diamond Arcade* however is a clear nail polish with chunky flecks of mirror ball coloured glitter. This one needs at least 2 coats to build up the right amount of opacity so I would recommend applying this as a top layer. 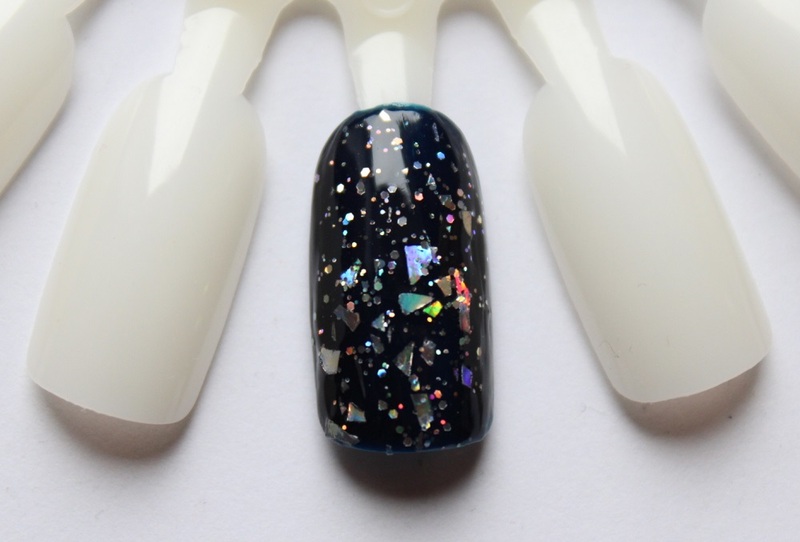 I chose Motcomb Street, a rich, dark navy blue as my base nail polish because I found the contrast of dark and light really helped to bring out the true sparkle of Diamond. As with all Nails Inc nail polishes I’ve used in the past, I have always been pleased with the quality and the Jewellery Collection doesn’t disappoint! The only thing I have ever been concerned about is the price tag because other brands tend to do similar collections for half the price, e.g Models Own – Wonderland Collection and each bottle is only £5 as opposed to £11. 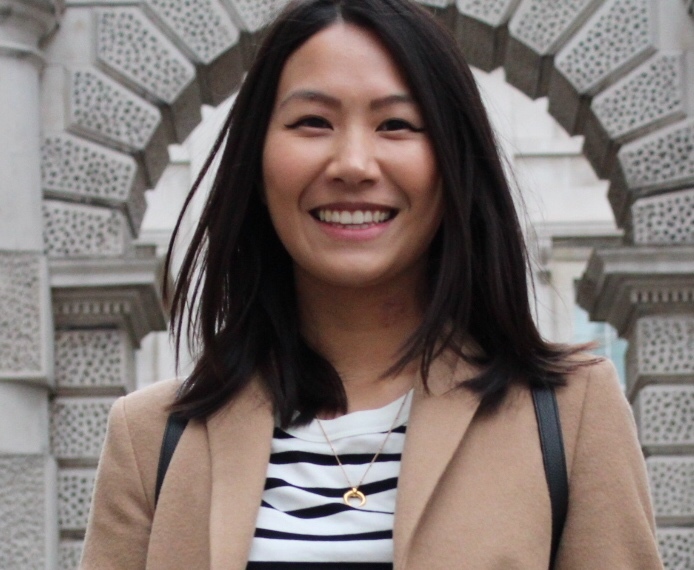 You can buy Nails Inc nail polishes from many different retail stores and also online from places such as Boots, Debenhams and House Of Fraser. 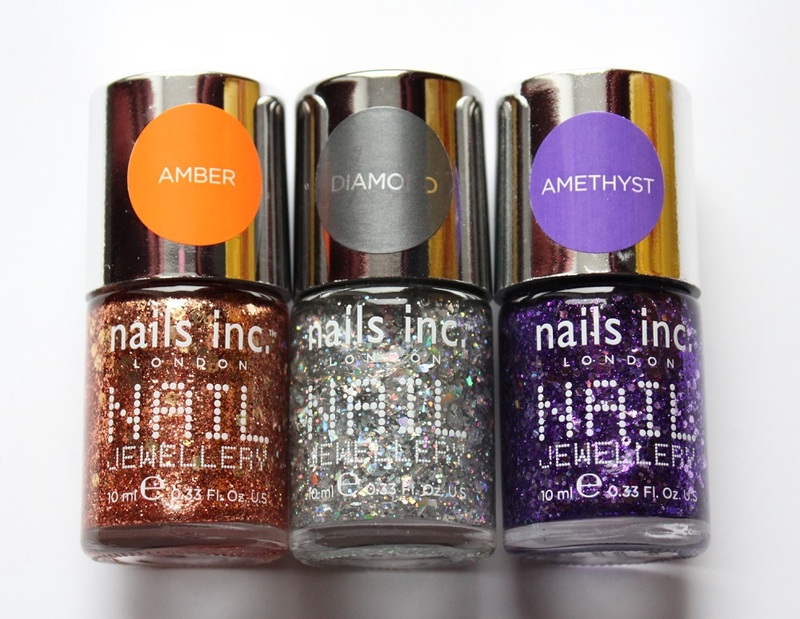 So have you tried the Nails Inc Jewellery Collection? 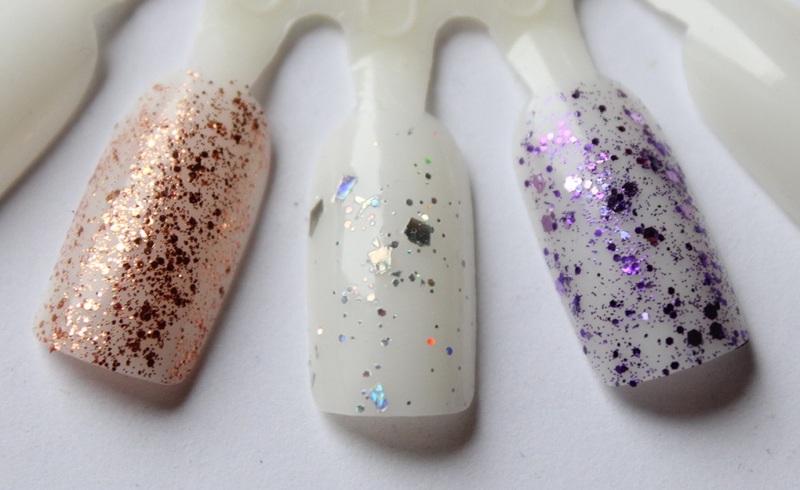 What do you think of Nails Inc polishes overall? Oh wow, I’ve never seen the Amber or the Amethyst! Where did you get them from?